Many military service citizens are concerned about how to get your military ticket of the Commissariat. This document is needed when entering into an employment contract, change of residence etc. in Order not to meet obstacles from the employees of the Department, before contacting them you should learn some features of the treatment of military ticketohms. If you're over 27 years of age and consisted on the military account of the place of stay (residence), and do not evade military service (i.e., was in a military Commissariat for all subpoenas received a receipt), but did not serve in the army, which is legitimately deferred and circumstances, you can easily get a military ticket to the military enlistment office at the place of residence or place of temporary stay in personal appearance. The time when the document is from two weeks to one month. Besides, you will need to write an application with a request for issuance of a military ticket. Attach to the application a photocopy of passport and education document. You will also need to undergo a medical examination to determine your fitness for military service. Also provide two black and white photos, size 3x4, without a corner, matte, and registration (if you have it). In other circumstances there may be a different result. In the case of treatment in a military Commissariat for the military ticketand the deliberate evasion of military service, including, in deliberate evasion of receipt of the summons, and also at absence in a military registration and enlistment office with a signed agenda, etc., perhaps even criminal prosecution because the Statute of limitations for the offense ends the citizens of the age of 29. 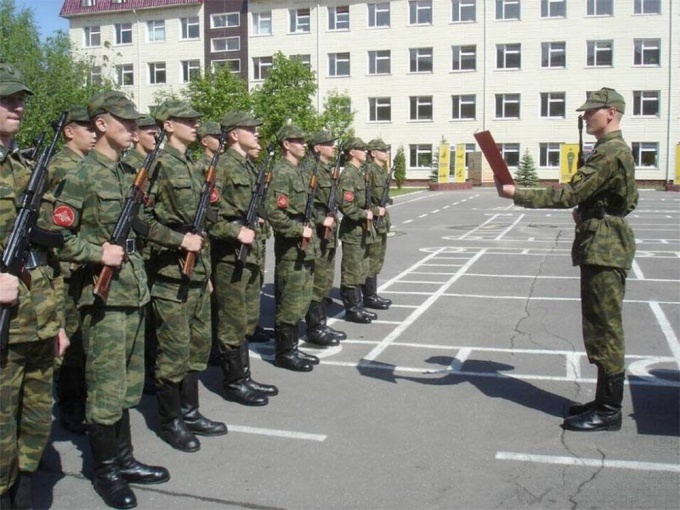 If during a medical examination in the military Commissariat you have recognized a limited fit or unfit, the decision of the draft Board you are exempt from conscription and will be credited to the reserve. Date of the issuance of the military ticket. Problems and circumstances, there are many, and each of them individually.